The Queens of the Stone frontman said he was "lost in performance." 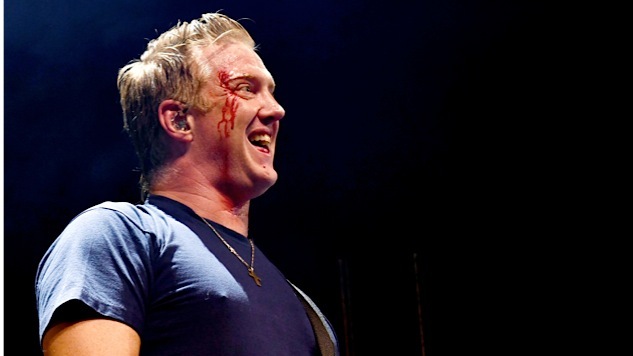 Queens of the Stone Age were among the performers at the KROQ Almost Acoustic Christmas show Saturday night in Los Angeles, and at least one person in the crowd had a decidedly unpleasant time. Chelsea Lauren, a professional photographer who was up front during QOTSA’s set, was busy doing her job when Homme wandered over during the performance and casually kicked her right in the face—or rather, kicked her camera, which smacked her in the face. As Lauren described it later, “I was where I was allowed to be, I was not breaking any rules.” The kick sent her to the hospital with a sore neck, a bruised eyebrow and some nausea.